No matter how you celebrate the holidays, the festivities bring with them a fair amount of stress. Its easy to overlook taking care of yourself during the holidays. Take a moment to breathe deeply, drink plenty of water ( yes it really works and counteracts the bubbly stuff you may be indulging in) and download some free soothing music with your library card. (I just downloaded Beethoven’ s 5 Secrets on Freegal – Amazing). For added measure – give yourself the gift of YOGA. Check out Melissa Tatge’s Restorative Yoga on Friday, December 14 and December 21. Learn more and sign up for yoga or pilates. Two hours of true peace on earth. Even a beginner can do it! It’s on Santa’s list with your name! Are you looking for a gift to bring to your neighbors holiday party? During Hurricane Sandy, they fed you warm meals, let the family take showers, and you did more than one load of laundry at their house. Your annual cookie platter and bottle of wine just does not seem to be enough. 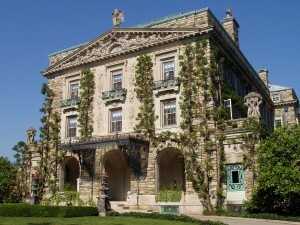 Go right now to Westchester’s most enchanting cultural and historical property that is right in our back yard. There is something for everyone all year long at Historic Hudson Valley. You can download a family gift membership! No hassle at the mall! You can shop in your pjs. A family membership covers two adults and three children – with lots of goodies, gift shop discounts, discounts to the sites, including 5 passes to the BLAZE! A family membership even includes 8 guest passes! Add the wine and they just might ask you to join them at the Fabulous jack-o-lantern BLAZE next fall!. Your executive assistant is always there for you, making sure your calendars are synced, that you are on time for appointments, and double checking that the important proposal is typo free. Why is it that buying a gift for the EA is always so darn hard?! We have a suggestion. Purchase a ticket to Westchester Library System’s Annual Literary Breakfast on January 18th at 8 am – 10:30, featuring Diane Brady, Bloomsberg Businessweek editor and author of “Fraternity”. Give them the morning off to be inspired by this remarkable story of how one visionary mentor made a difference in the lives of five young men. He/She will start the year with renewed commitment to keep you on track! Tickets are still available online!